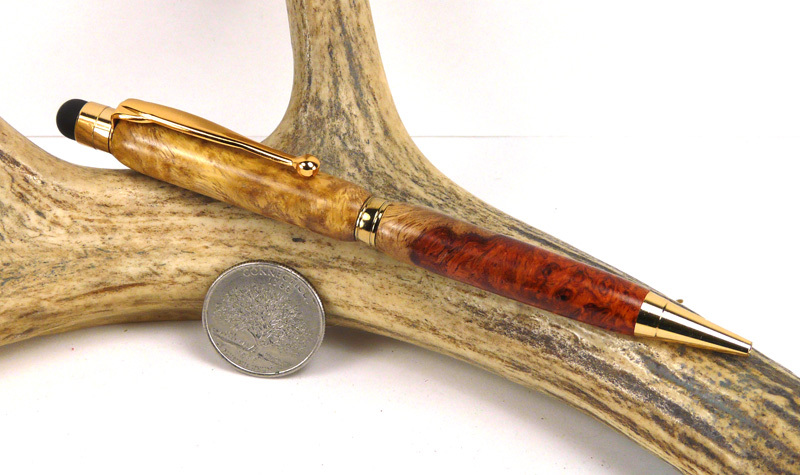 Made famous by Art Deco masters and so highly prized, it's often sold by the ounce, Amboyna burl is one of the rarest, most expensive and difficult to obtain burl woods in the world! Taken from the Narra tree and grows only in Southeast Asia. Some cuts can be as much as $500/ board foot. It was the first burl wood to be used by Rolls Royce for dashboards. A burl is a tree growth in which the grain has grown in a deformed manner. It is commonly found in the form of a rounded outgrowth on a tree trunk or branch that is filled with small knots from dormant buds. A burl results from a tree undergoing some form of stress. Burls yield a very peculiar and highly figured wood, one prized for its beauty by many; its rarity also adds to its expense.